In 1979 Richard Thornton Boswell's vision was to focus on the production of only one wine varietal, the noble Napa Valley Cabernet Sauvignon. Under the direction of winemaker André Tchelistcheff he began what is now a 40 year history of wine production in our hand hewn stone winery nestled along Silverado Trail in St. Helena. As we embark on our 40th year winemaker Philippe Melka continues to propel us to new heights. We remain dedicated to producing wines of pure vineyard expression through old-world, low-intervention winemaking techniques. 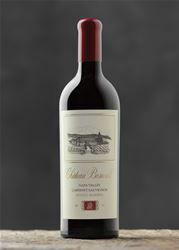 Chateau Boswell Cabernet Sauvignon labels include the Estate, Beckstoffer To Kalon, Oakville, At Anchor, and RTB. We are also noted for our Rued, Ritchie and True Course Chardonnay and the Absolutely Eloise Pinot Noir wines all of which are produced and cellared in our caves 65 feet below the earth of the Napa Valley. Chateau Boswell is a Napa Green Land certified property and was the first certified Napa Green Winery. Chateau Boswell Wines are available to our mailing list clientele and at select restaurants. The private seated tasting begins in the upstairs cave dome room which is located beneath the Estate vineyard and directly under a 150+ year old Oak. Entry is at ground level through two glass doors; a brief hallway leads to a perfectly shaped dome room with a 20 foot high ceiling. The floor is terrazzo created with obsidian from our property including obsidian carved spears and arrowheads found on site from prehistory man and dated at 4 to 6,000 years ago. The dome room has a French 1930’s period black marble table with inlaid mother of pearl with seating around for 6 to 8. When in the dome room you can see through another set of glass doors into the lower cave below; one can see the excavated stone ceiling which begins above the 20’ wide stairwell leading 30 feet down into lower cave area. The lower cave exhibits 4 million plus years of geological history in the natural stone walls 65 feet below the surface of the earth. The cave is 300+ feet in length with a number of excavated areas 30 to 70 feet long off the central hallway creating a cathedral like view of seemingly endless archways. Chateau Boswell Winery is certified under the Napa Green Winery Program by the Napa County Department of Environmental Management (DEM) and the Association of Bay Area Government’s (ABAG) Green Business Program and completed all the regulatory components needed for environmental sustainability. These components included developing water and energy conservation methods, preventing pollution, and reducing solid waste. In addition to developing sustainable winery practices, this program is set to become the standard for the state of California. Chateau Boswell Winery is certified under the Napa Green Certified Land Program. Chateau Boswell Winery has created and implemented a customized farm plan with measured results that addressed all aspects of its property, vineyard land as well as non-farmed land, including practicing soil conservation, water conservation, stable drainage, riparian corridor enhancement, fisheries and wildlife habitat enhancement and long-term improvement and sustainability.